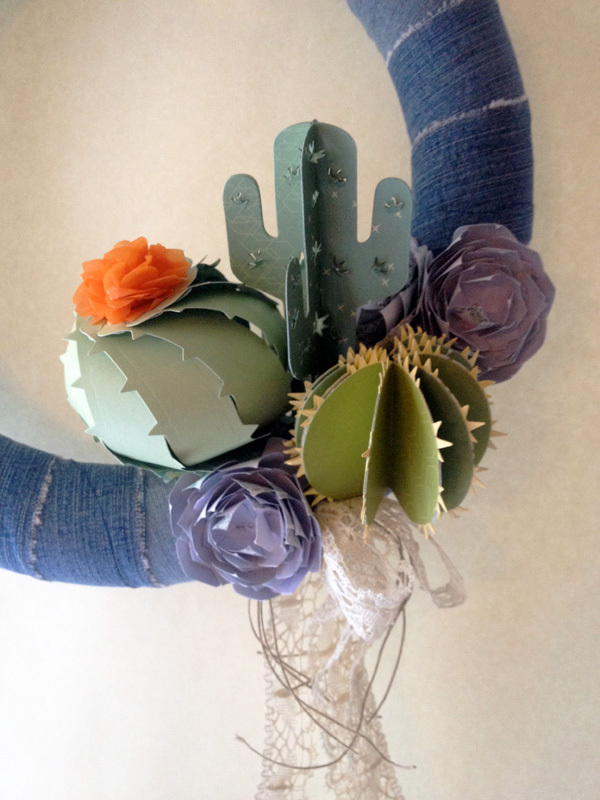 When I designed my Succulent Serenity dies, stamps and paper collection for Sizzix, I wanted to create something that was simple yet interesting to a wide range of crafters and makers. The 3D designs is one answer to this creative challenge. 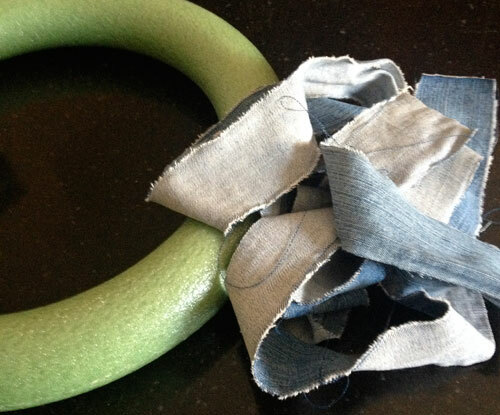 Here is a super quick wreath created using strips of recycled denim jeans and paper from my Succulent Serenity paper pad. This post contains affiliate links as explained below. I started by tearing the denim into 2 inch strips. 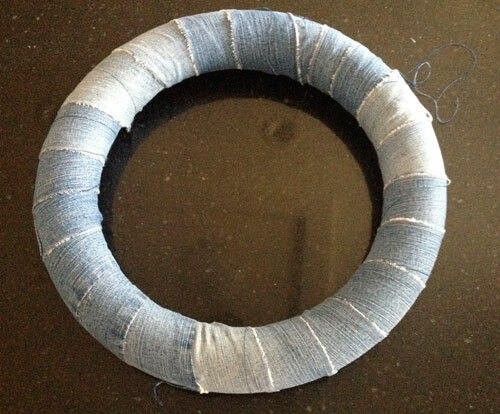 I attached the ends of the denim strips using straight pins. 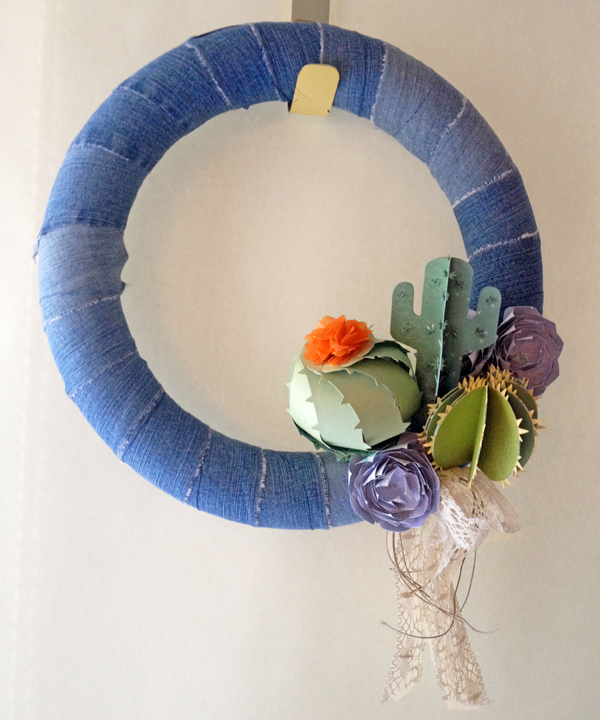 The wrapped wreath form had a clean shape to contrast with the texture of the succulents that I would add later. 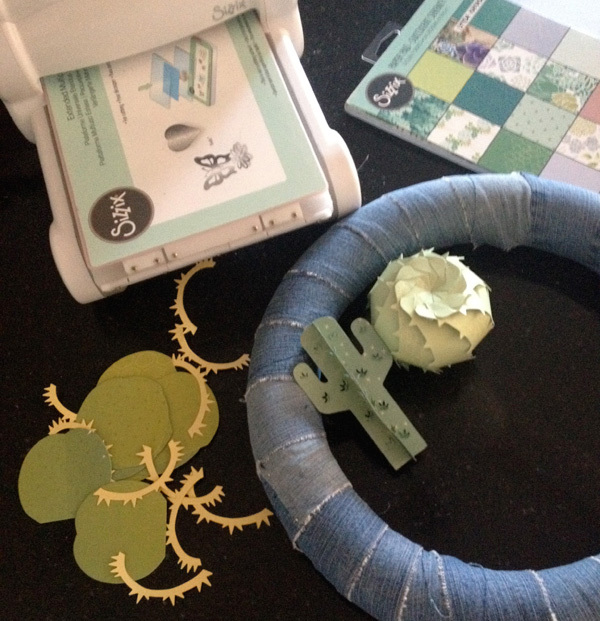 Next, I die cut one each of the Succulent 2D & 3D dies and the Barrel Cactus 3D die. Videos on how to assemble the dies will be up on Sizzix.com or on my Facebook page: Lynda Kanase Designs. I attached the base of each paper succulent using more straight pins. To finish off the wreath, I added a bit of vintage lace and some thin twine as accents. So simple!